China Q1 visa is designed for Chinese descendants or foreigners who are spouses of Chinese citizens. Issued to those who are immediate family members of Chinese citizens or of foreigners with Chinese permanent residence and intend to go to China for family reunion, or to those who intend to go to China for the purpose of foster care. It is usually issued for 1 entry with duration of stay of 000 (means to be determined). Holder of Q1 visa should enter China within 90 days after visa is issued and must register at local public security bureau within 30 days of arrival, where the China Residence Permit will be issued to replace Q1 visa to allow multiple entry for one or multiple years. Q1 visa is not guaranteed, interview may be required. Chinese Consulate may issue you a Q2 visa instead at their discretion. In order to apply for China Q1 Visa, please prepare and send in your application according to the detail requirement explained below. Information of the inviting person (name, contact number, address, signature etc.). 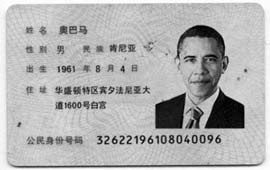 Photocopy of Chinese Identity card's (Shenfengzhen) both sides. Original and photocopy of the consignor's passport(s), as well as the original and photocopy of certification (marriage certificate, birth certificate, certification of kinship issued by Public Security Bureau or notarized certification of kinship) notarized and authenticated certification showing the relationship between parents or guardians and children. Additional documents may be required at Chinese Consulate's discretion on case by case scenario. "Direct family members" refers to spouses, parents, sons, daughters, spouses of sons or daughters, brothers, sisters, grandparents, grandsons, granddaughters and parents-in-law. Minor applicant is required to provide a notarized letter of consent from the parent, if that parent is not applying for the visa at the same time.